Recently, I had the extraordinary opportunity to chat (on the phone and through email) with Crook Stewart III and Vicki Stewart about a special project that they’ve created in Panama City, Florida. 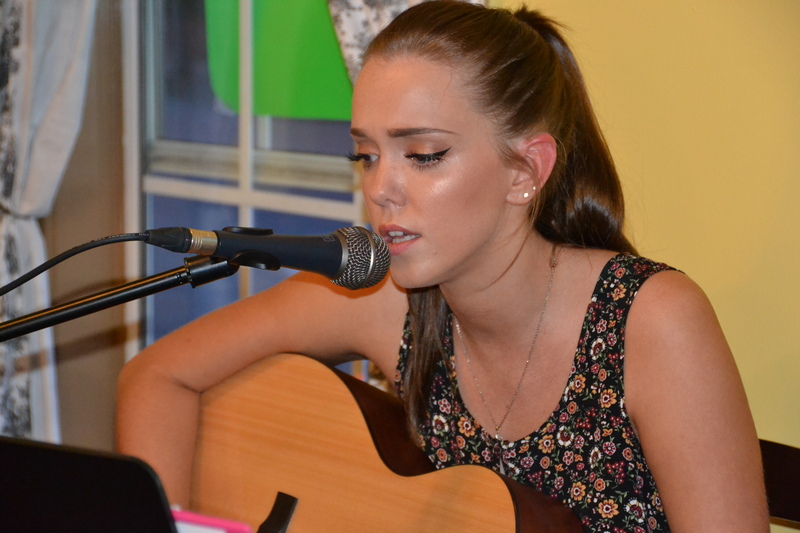 This special project is named ‘Music Matters’ and it was initially created to help revitalize downtown Panama City, Florida, but this special project of the Stewart’s has blossomed into a solid model of how to provide music – local music! – to your hometown. This isn’t a gentrification project, but a project borne in the heart of two music lovers that wanted to help out their city the best way possible. 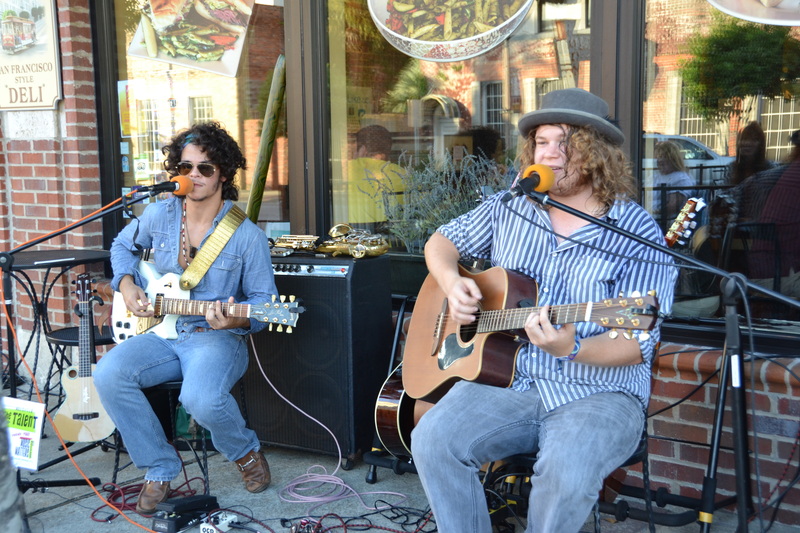 Not only will the shows entice locals to come to downtown Panama City, but it will entice locals to spend money locally. When the city is healthy financially, the music sounds a whole lot better. – First off, what is Music Matters? Crook: Music Matters is a catch phrase that we coined to identify our initiative to bring a corridor of live entertainment to Harrison Avenue in downtown Panama City, Florida. It is also a mission statement for a broader initiative that means exactly what it conveys. Music does matter. 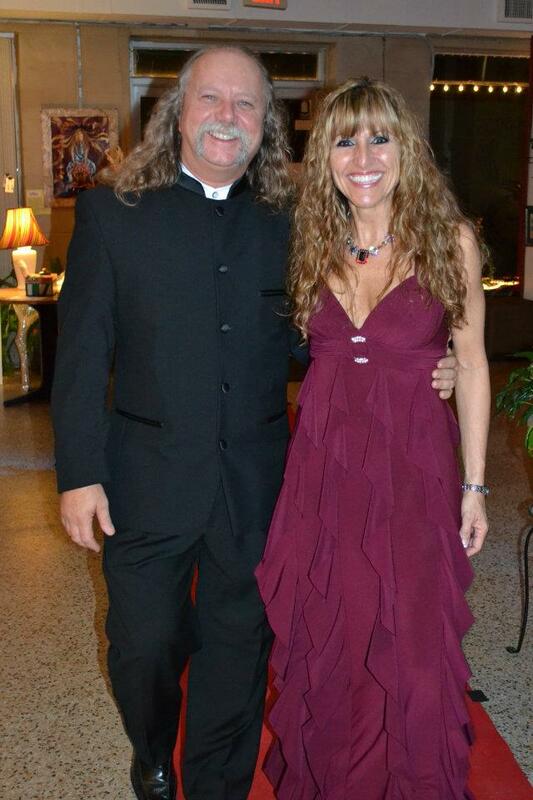 I have been in the music business for 40+ years and Vicki has been playing and singing for 40+ years as well. We are both huge fans of almost all genres of music. We both recognized from an early age that music is something special and should be treated as such. Vicki: Music Matters is an organic initiative thought up to bring new life into Downtown Panama City, FL. It was an idea that if we placed musicians in venues downtown, maybe we could increase the attendance of locals and tourists to shop and dine while listening to local music. This draw would increase revenue and help to revitalize downtown Panama City. Until Music Matters, Harrison Ave. and downtown Panama City was a ghost town most nights. – What inspired you (two, right?) to begin Music Matters? A love for music plus a love for Panama City, Florida? C: We do love our hometown of Panama City, even though we have both worked and lived all over the place Panama City is a special part of paradise and unfortunately as in many areas of the country, with the proliferation of malls and superstores, our downtown has suffered a downturn in business. Not so much because there weren’t decent places to shop and eat, but because the aforementioned malls and superstores tend to get a lot of the foot traffic that would normally keep downtown hopping. Vicki and I travel to Nashville once or twice a year for different events and always love to take in all of the great talent that is performing up and down Broadway. 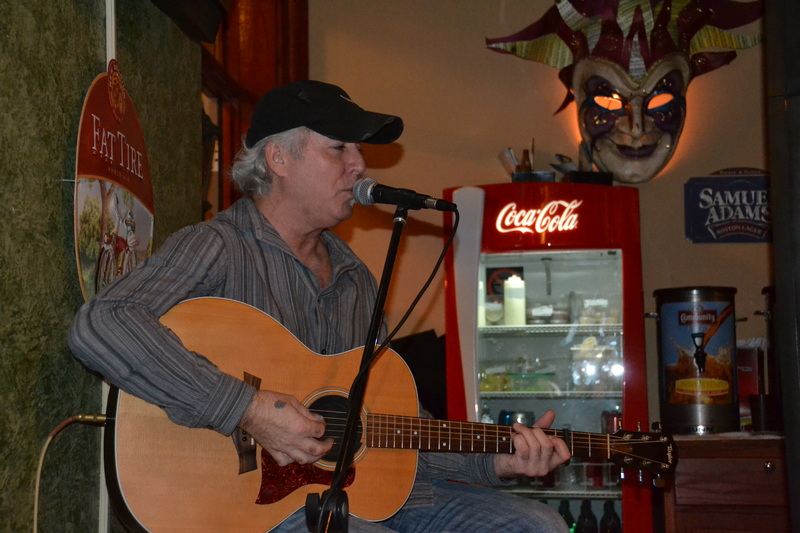 We returned from a trip before Christmas in 2013 and started discussing how cool it would be to be able to go from venue to venue in downtown Panama City and see great live local entertainment. V: We want to see our downtown become a destination for locals and tourists alike. What better way to get that kind of publicity and response than with music? Musicians benefit and the venue owners benefit. It is a win/win for everyone because the customers get to listen to great music while enjoying some authentic Downtown Panama City culture. 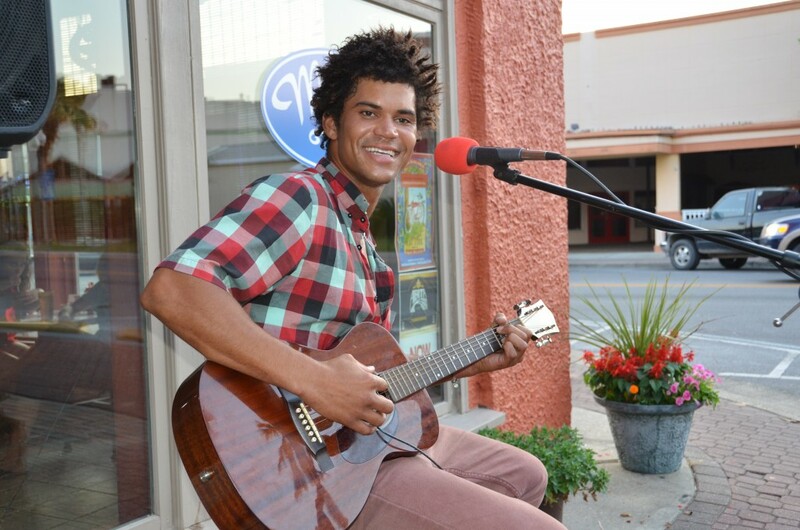 – Why do you believe music is the answer to revitalize a downtown area? C: We are coming up on the one year anniversary of Music Matters and the proof is in the pudding. Some of the venues have had the largest grossing nights in the history of their restaurants on the nights that they have featured live music. Great entertainment almost always draws people, like moths to a candle. We started on Music Matters on a Wednesday night and a couple of the venues experienced such an uptick in business that they added Thursdays and Fridays. Panama City is a seasonal town and a lot of the draw was the patio area of the restaurants. Now that the weather has cooled, they aren’t using the patios, so they have cut back to just Wednesdays, but will bring back Thursday and Friday as soon as the weather permits. V: No matter what event you will attend, music will always be present. It is and always has been a successful draw to get people to come out. Using it to breathe life into downtown is no different than using it to host any special event. – Musicians are, obviously, important to this movement. Do the musicians get paid by the local businesses where they perform, are they having to pay to play, or is there some other setup regarding payment? A Musician being paid their due has always been a large issue in the music industry, with record labels raking in most of the profits or bars refusing to pay live bands. C: Musicians are the MOST important part of Music Matters. Our concept was pretty clear from the beginning; we asked musicians if they would be willing to play for tips only for a limited time to prove what featuring live music could do to our downtown restaurants bottom line and also bring some nightlife back to our community. 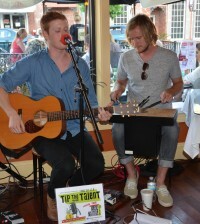 One of our friends Tim Koehnemannn that came to the initial meetings came up with one of our slogans “Tip the Talent”. The public really took it to heart and many of the artists were making great tips from the very beginning. It took just a little over one month for the venues to realize what a win-win situation they had on their hands, and they started paying the performers. On one particular night, we realized that there were nine musicians playing and making money that would not have had work if not for the initiative. We also got help from the mayor and city commissioners as well as from our CRA (Community Redevelopment Agency). The CRA stepped up and agreed to pay 80% of the PRO (Performing Rights Organizations) fees for the first year and the city lowered the live entertainment license fee. We thought that if we lowered the cost of entry for the businesses to offer live music, they would have no reason not to try it and they would see how much it would benefit them. We are not fans of the “pay to play” concept. It doesn’t make much sense to have a band or artists have to pay the venue as they are the ones that are bringing patrons through the door. V: In the beginning, we asked musicians if they would be willing to play for tips only just to see if this would work. The musicians agreed and for the venue owner it was a no-brainer. This was a temporary situation just to test the waters. When it began to draw people in and increase the venue’s revenue, they agreed to pay the artists. This only took a little over a month and the musicians not only were reaping good tips, but getting paid as well. – How is the city of Panama City reacting to Music Matters and the emergence of a more lively downtown? Has it been a process to get more locals involved? C: Everyone that has been out to enjoy the great entertainment downtown has loved it and one comment really stuck with us. Someone said it was great to go downtown in the evening and have to search for a parking space. V: The locals have welcomed this new downtown life with open arms. They gather, eat, drink, meet friends and enjoy music! They look forward to having someplace to go in their own backyard and supporting local musicians as well as our downtown businesses. We have beautiful beaches, that’s a given. Anyone can tell you about that. But we really want to reach the tourists and beach residents and get them to come downtown. To date, we have been getting good publicity and that is always a good thing. There are no hidden agendas. What we are wanting is for folks to come and enjoy the culture of Panama City. We have the arts and parks as well as music. Downtown has a lot to offer and we also have a marina, so our beautiful waters are never too far. – Has it been a process to get more locals involved? Why or why not? C: It is a process to get more people to come out. There are plenty of regulars, but we would like to see even larger crowds as we think it will draw more venues to our downtown area. (Two new venues have opened up since the initiative started a little less than a year ago. We had no advertising budget, so social media, word of mouth as well as great gratis exposure from our local newspapers, radio and TV outlets helped us get the word out. We had a couple of meetings before we got the ball rolling and saw how much interest there was in the community to make this happen. You don’t really know until you ask, and we have been blessed to have support from all walks of life in our community. Our award winning graphics design goddess Kim Griffin White is a huge music fan and stepped up with cohesive branding that we use on a daily basis to spread the word about what is going on with Music Matters. We had a few musicians that were not happy about us asking for acts to play for tips initially, but it is not uncommon to have a few naysayers for anything new. We even had a musician from out of town file a formal complaint with a regulatory body in Florida accusing me of running a talent agency without a license, Jeff Carter a gifted guitarist/singer/songwriter/attorney stepped up and represented us pro bono and wrote a great rebuttal to the complaint pointing out that we weren’t in business as we weren’t making any money and that we were in fact spending our own money in many instances to support this initiative. A local studio owner Tom Hoots of Studio 812 happened to be teaching a summer recording class for Gulf Coast State College and offered to make a Music Matters compilation CD that features original works of some of the artists appear downtown The artists generously donated the tracks to be used to raise funds to promote the movement. – What are your short-term goals and long-term goals for Music Matters? C: Short term: we would like to grow the initiative to encourage even more venues to open downtown and make it a real destination for music fans from Panama City and surrounding areas and also for many of the tourists that have come to visit “The World’s Most Beautiful Beaches”. Long term: we really feel that Music Matters will serve as a catalyst in our area to encourage all things music and art related. There are many visionaries in Panama City that want to do things like open something akin to a musical YMCA so kids have a place to go after school and learn to play an instrument, sing and even form bands. Unfortunately, as in many areas of the country, schools are dropping music and arts programs. We hope that with the help of the initiative we can turn that tide and show what an important role music and the arts play in the community. Someday soon we hope to assemble enough like-minded people to build a movement that will help us reach that elusive tipping point that will turn our area in to a haven for artists of every ilk. Nashville is Music City USA, we want our area to be Music City F-L-A. To create the ultimate destination for locals and tourists alike. To increase revenue in our mom and pop shops by way of increasing foot traffic on Harrison Ave. and surrounding business lanes. Unique shopping in one of kind shops is becoming extinct with malls and chains. We want to keep the individuality of our downtown. Music can provide that draw. – What message would you like to pass on to others that want to bring music to their city’s downtown area? C: Start building a coalition of like-minded people and reach out to all interested parties. One of the things that we stressed at the beginning of our journey was that we wanted it to be “organic”. Even though we seem to be the face of the initiative, there are many people involved and they all shared our vision that this was something that could enhance all of our lives. Music Matters is helping transform our community and is also adding another quality of life component to an area that many of us already consider to be a little bit of paradise. V: Don’t delay. Do it now. All it takes is a handful of willing musicians and venue owners. With today’s internet and social networking, it doesn’t take long to spread the word. It is like anything else, though. It takes work. You have to be willing to take the first step. Be the first to speak up. The answer is always no … until you ask. Music is a universal language. In an otherwise digital world, music brings the human emotion back into play. It touches everyone in some way, but almost always in a positive way. How can bringing music into a coffee shop, restaurant, or even a boutique have a negative impact? Picture a person on a stool, strumming a guitar and singing a ballad while you shop or dine. Now picture it without. What would you rather see and hear? I want to thank Crook and Vicki Stewart for providing me with their incredible insight on a truly wonderful project. The musicians involved with Music Matters are expected to release a compilation album (mentioned above) that will consist of mostly original work. The album will help fund this stupendous project and keep music alive in Panama City. Who knows, maybe this is just the inspiration you need to start your own music coalition in your town? Just remember: music matters to me, to you, to everyone. Never forget that. Interested in supporting Music Matters and want to catch a show when you’re around Panama City? First, check Music Matters Facebook Page (and make sure you LIKE it!) to see any future show times and then check out one of the many venues where the musicians perform! Musician roster and venues are listed below. Expect an update on the compilation CD when it drops! 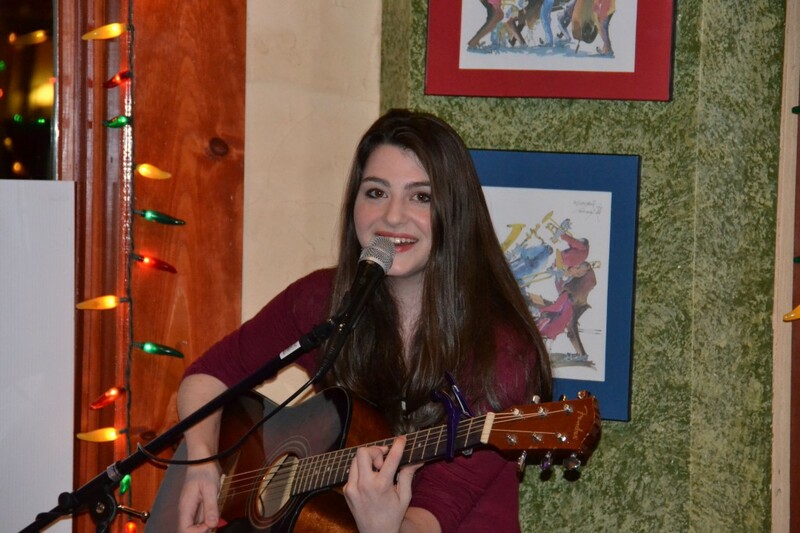 For a photo gallery of more Music Matters artists, click here! 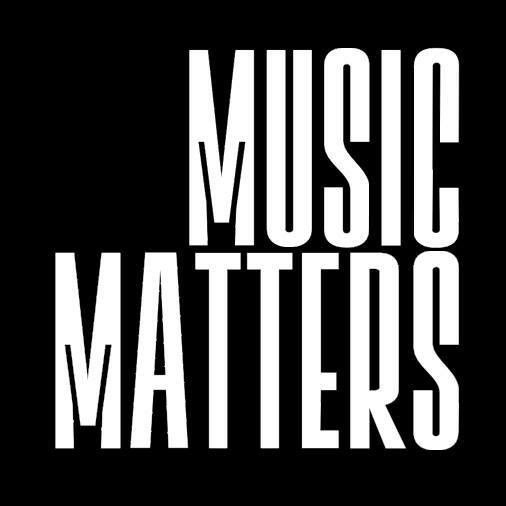 In case you missed it; here is Music Matters Facebook page. Make sure you ‘Like’ the page to receive important updates on new artists, new venues and what is happening with ‘Music Matters’! Make sure you stay up-to-date with Onstage Magazine on Facebook and Twitter!